To celebrate the holiday weekend and get some exercise, the Spouse and I went hiking at Morton Arboretum. We don’t get out there very often since it involves a trip on the dreaded tollway. 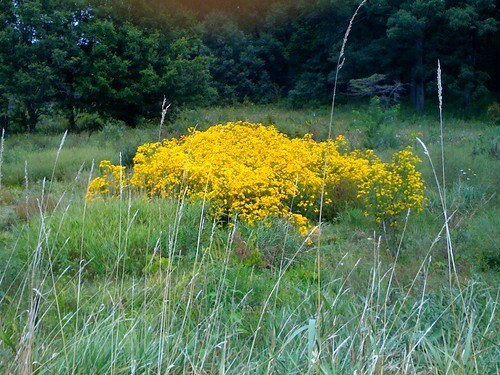 Of course, I didn’t remember to bring an actual camera, but my iPhone is good enough to get the gist of things, like the mass of yellow wildflowers above. We hiked loops 3 & 4 on the east side of the arboretum. Loop 4 is almost exclusively in woodland, so any interesting plants made us pay attention. 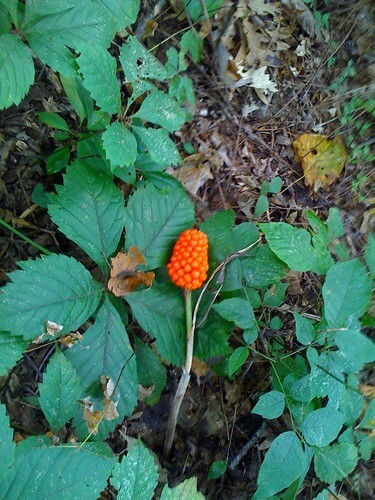 We saw the berries above all over the place, and the folks at the visitors center informed us that they were either Jack-in-the-pulpit or green dragon. Since I’ve been dragging my feet on getting any J-i-t-p, this may be the motivation to plant some in the side yard. Another notable berry we saw was Solomon’s plume, but with red berries rather than the bronzy ones seen on my plants. 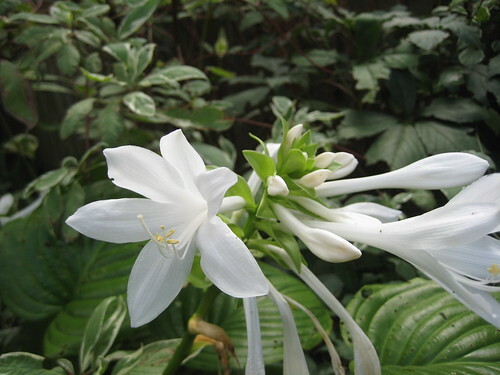 The hostas are finally blooming now that summer has come to an end. It was cool, and the cloudiest one ever. 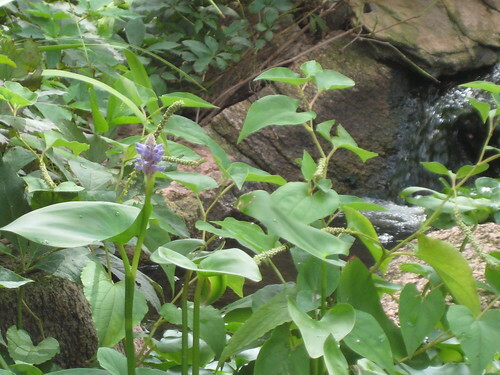 Despite all the raccoon harvesting done to it, the pickerel weed (Pontederia cordata) finally bloomed. 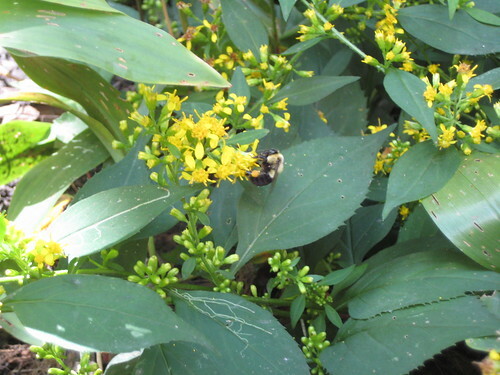 The bees have moved on from the Joe Pye weed to the zigzag goldenrod (Solidago flexicaulis), which is prostrate in the shady side yard. The early crop of Caroline raspberries was not particularly impressive, but the canes are really starting to produce now. 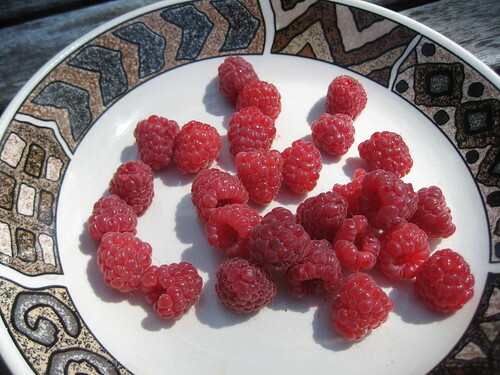 Even farmer’s market raspberries are not as fragrant and delicious as backyard ones!